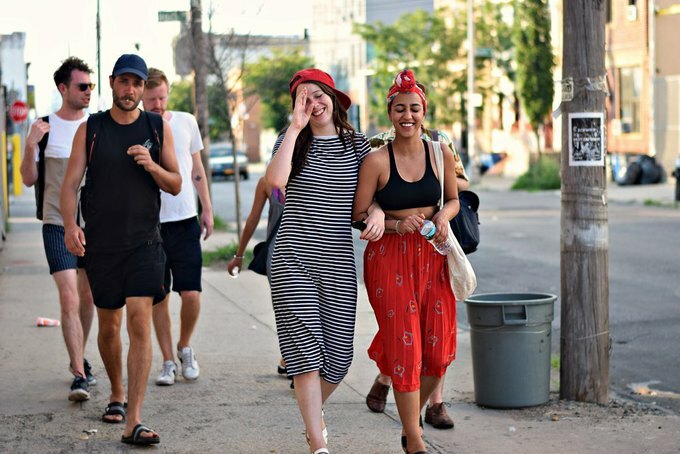 This week in street style it was all about the squads. 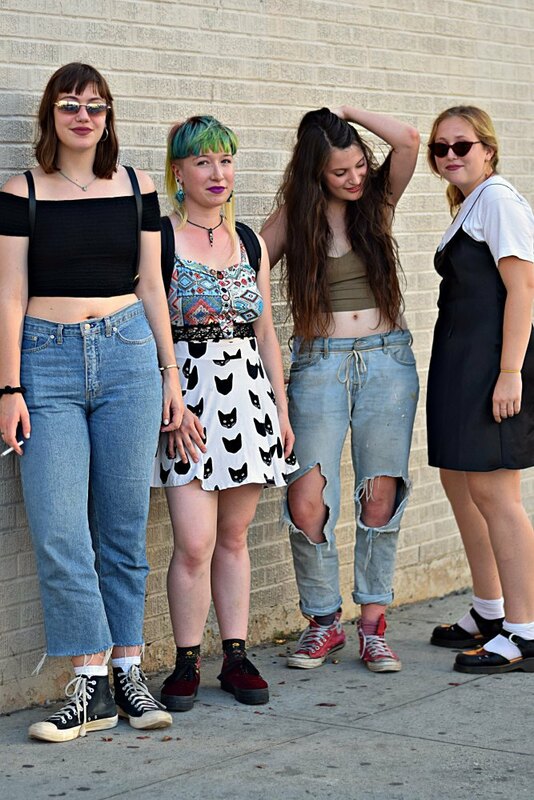 This girl squad is totally rocking the '90's grunge vibe. 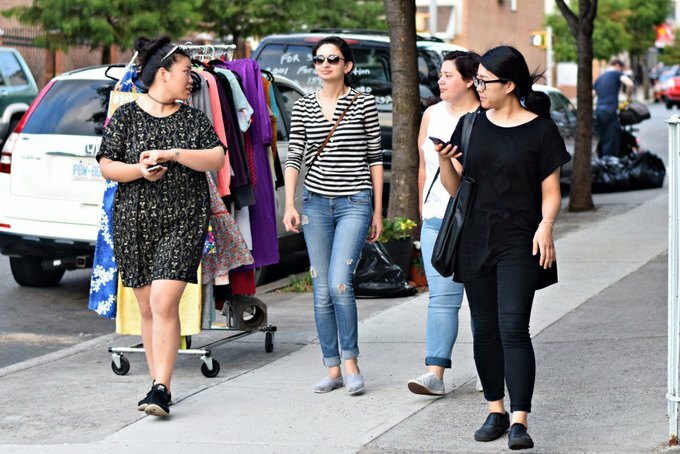 I especially love the slip dress worn over a t-shirt - very Clueless-chic. These two have the black and white and red thing going on. 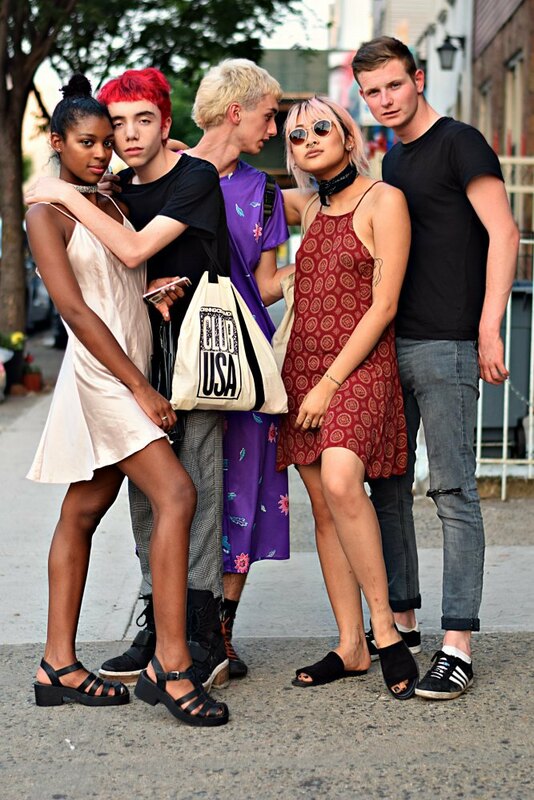 I love how they accessorized with a group of Bushwick boys! These two appear to be styling up a very similar top in two different ways. One chose floral, the other stripes. Both #winning. Again with the 90's vibes. Why does the song "We're the kids in America" keep going round in my head? 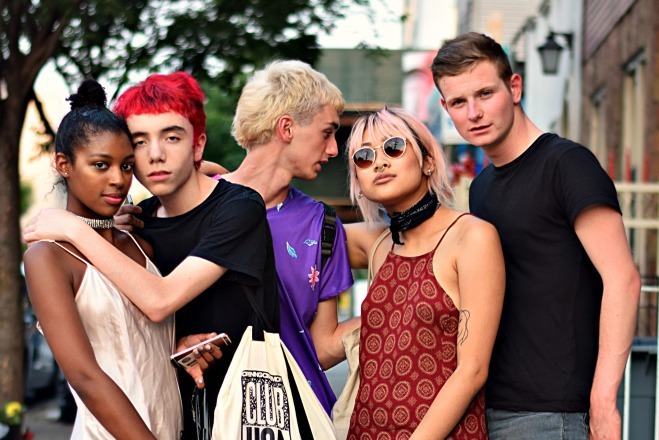 These kids look like they just stumbled out of a Vogue shoot. These monochrome mavens look chic in their black, white and denim.